Steven (Chicagoland, United States) on 26 April 2018 in Plant & Nature and Portfolio. Superbes avec les pétales bordés de rose. Glorious intensity of living color. It's quiete an abstact !!! Splendid image with superb colors . Wow...what a splash of lovely pink here !!! Absolutely stunning. Nature sure has much beauty to be admired. Quelles fleurs et vue quel rendu sur ces pétales et compo fantastique vue. Beautiful shot. I have not seen the two toned ones before. They are superbly lit and shown off in your fine tight framing. A brilliant capture of these gorgeous flowers. Nice one. Beautiful azalea. I love your flowers... Great shot! I bought some (2x reds & 1x white) last year. But they died earlier this year, possibly it was too cold. That is a beautiful burst of colour. I just love how you've filled the frame with color! If that doesn't make your heart sing....! This is another plant I had in the garden... but the plant died. Beautiful composition and level of detail / focus is perfect. 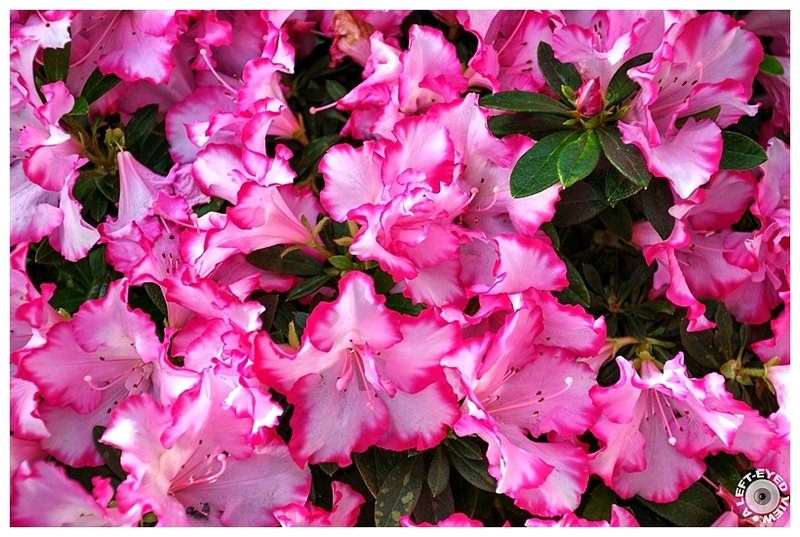 There is nothing so pink as azalea pink.